Future solar homeowners take note: PG&E (Pacific Gas & Electric) is introducing new regulations for net metering customers. In the past, net metering customers could choose between PG&E tiers or time-of-use (TOU) rates. However, in January 2016 the California Public Utilities Commission (CPUC) – the organization responsible for regulation over the state’s investor-owned utilities: PG&E, San Diego Gas & Electric, and Southern California Edison – passed a decision, known as the Net Energy Metering Successor Tariff, that will tweak net metering (also known as net energy metering, or NEM) agreements going forward. The commission stated that these new regulations must be adopted by July 1st 2017, or when each utility reaches their individual NEM cap (whichever is first). PG&E reached their cap in December 2016 and immediately began implementing the new rules, which they refer to as the NEM2 Program. Future NEM customers must now pay a one-time interconnection fee, with PG&E’s fee at $145. For NEM customers, this is more of an annoyance than anything else. You’ll save thousands over the life of your installation, so $145 is not a huge deal in the long run. On monthly statements, future NEM customers must now pay ‘non-bypassable charges’ which fund utility-sponsored programs for energy efficiency, renewable energy, nuclear decommissioning, and low-income assistance. Existing NEM customers also have to pay these charges, but they are based on a home’s total net electricity use, calculated by subtracting the electricity you put into the grid from the total you consumed from the grid. Under these new guidelines, NEM customers base these charges on total kilowatt-hour consumption from the grid, i.e. total gross use. So, for example, let’s say you pulled 200 kilowatt-hours (kWh) from the grid over the course of a month, but you put 50 kWh into the grid over the same month. In the old system, your charges would be based on your total 150 kWh net usage. Under the new system, you’d be charged based on the full 200 kWh. If your solar installation is sized to cover 100% of your electricity usage, this change won’t make a huge financial difference to you, especially considering the charge is only $0.02 to $0.03 per kWh. Now we come to the heart of the article. According to the new rule, all future NEM customers must be placed on TOU rates. This is the biggest change for future NEM customers – if you’re used to PG&E’s tiered rates, you’ll have to get used to this very different system. Don’t worry too much! Below we’ve provided an overview of PG&E’s existing tiered rate as well as the TOU rates and how NEM fits in. In the old net metering (NEM) system, PG&E customers entering into an NEM agreement could choose between the standard tiered rate and a TOU rate. For non-NEM PG&E customers, tiered rates are still the standard. You’re probably wondering what the ‘baseline usage’ is. You know that the average California home uses 550 kWh a month. Is this the baseline? 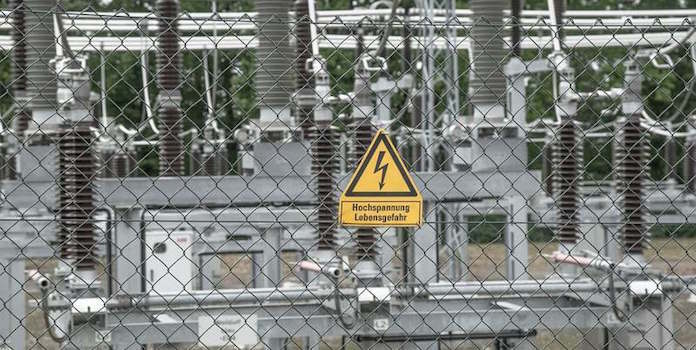 Does the price per kWh increase once you use more than 550 kWh? That seems logical, right? Actually, the baseline is different for each home! PG&E determines a baseline for your home depending on the location, season, and your home’s heating type (electric or natural gas). The baseline is the minimum amount of electricity you likely need to meet 50% to 60% of your monthly usage. You can see your baseline on your monthly bill each month and if you want to calculate your own monthly baseline, check out PG&E’s Understanding Baseline Quantities (Tier 1 Allowance). Let’s look at a quick example of calculating your bill with tiered rates. Let’s say you use 500 kWh a month, so your baseline is 225 kWh. Spring passes with no problems, but then summer hits and uh oh, you’ve got a surprise. It was a really hot July, so you cranked up the air conditioning all month. Better yet, your nephews wore out their welcome for a couple of weeks, taking excessively long showers, cranking up the AC, and leaving lights turned on. You open your monthly statement and see you used 700 kWh this month! Yikes! So that month you spent a total of $177. Quite a bit of money, and certainly an incentive to start looking for ways to lower your energy use (which is the whole point of tiered rates)! Tiered rates are designed to encourage you to use less energy in general, at any time during the month. As long as you save energy at some point before your bill comes, you save money. TOU rates are different. They are designed to encourage you to use less when electricity is most in demand, typically around 3 PM to 8 PM on weekdays. During that time, the price per kWh is much higher! Do you ever go to a matinee showing at your local theater when tickets are half-price? Do you go skiing mid-week when lift tickets are more reasonably priced than weekends (and it’s less crowded too)? Do you meet friends for the great deals during Happy Hour at your favorite bar-restaurant? In some parts of our lives, we’ve become so used to TOU rates that we don’t even think of them as such. And instead of punishment for eating or skiing at popular times, we see them as an opportunity to save money by going at less popular times. And that’s what utility TOU rates are designed to do – encourage you to use energy during non-popular times. How exactly? Read on to find out! While non-NEM customers can choose to enroll in TOU rates, future NEM customers are required to enroll. To be more precise, PG&E actually has two TOU rates. They are built around the same principles but differ in a few key ways. Peaks hours during ETOU-A (occasionally referred to as Option A) is between 3 PM and 8 PM. To make things even more confusing, ETOU-A adds tiered rates into the mix by calculating a home’s baseline and giving customers a discount of $0.12 per kWh for all the electricity they use under their baseline. The second rate, ETOU-B (Option B), has peak hours from 4 PM to 9 PM on weekdays and lacks any sort of tiered pricing. It has slightly lower rates than Option A (about $0.01 per kWh lower). This rate has a cap of 225,000 enrolled customers. You might be asking why are all this information on TOU rates important? Why are we going into detail this much? It’s because how and when your electricity price changes can affect how your net metering benefits you. You can use the changes to your benefit! 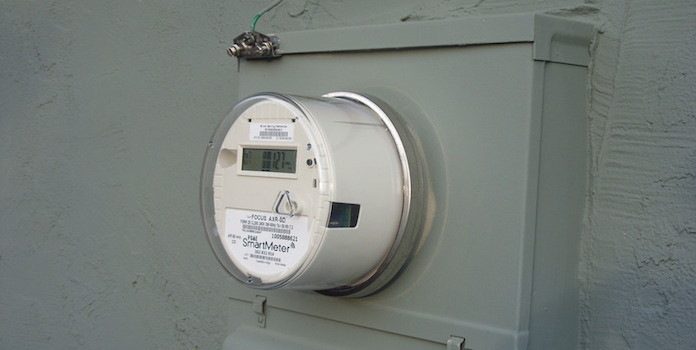 Where Does Net Metering Fit In? After you install solar and enroll in the NEM program, PG&E begins sending you a Monthly NEM Energy Statement. This statement lays out how much electricity you put into the grid, how much you pulled from the grid, and your associated costs (or credits). If you produced more electricity than you used, you only owe the minimum balance (currently at $0.33 per day) to cover infrastructure maintenance and upgrade costs and you’ll receive a credit on your next bill for the electricity you put into the grid. If you used more electricity than you put into the grid, you owe PG&E for that electricity. However – and this is the weird part – you won’t pay for that electricity now (except for the monthly minimum). Instead, at the end of your 12-month billing cycle PG&E will send you your yearly True Up Statement, which tells you the same info as the monthly statements, but for the entire year. At this point – after 12 months – it’s time to pay your balance. If your solar installation covers 100% or more of your electricity usage, you shouldn’t owe anything on your true-up statement, and in fact, PG&E will pay you cash (at market value – typically about $0.03/kWh) for any leftover electricity credits in your account. But if your installation only covers a portion of your total usage, be prepared to pay PG&E for the additional electricity you purchased from them. Note that if you do owe additional money, the monthly minimum balances you’ve paid each month are subtracted from your total true-up bill. So be sure to review your statements each month; you don’t want to be sticker-shocked at the end of the year! With a ‘normal’ utility rate or even a tiered rate, most homeowners calculate their total solar savings by estimating the installation’s total electricity production over 20 years and then comparing to how much that electricity would cost from the utility. With TOU rates though, it’s a bit more complicated. It’s not just about your total electricity output. It’s also about when your electricity goes to the grid – either during peak hours or non-peak hours. Let’s say you work until 6 PM. No one is home during the day, so during peak hours (about 3 PM to 8 PM) your installation is pumping all the electricity it’s producing directly into the grid, giving you some serious bill credits to use at another time. Now here’s the sweet part – let’s say you get off work at 6 PM, go to the gym, meet friends at a restaurant, and then get home at 8 PM. With this schedule, you’ve not only avoided using electricity when it’s most expensive – saving you money – but you also have pumped solar electricity into the grid during peak hours – which credit your account at those peak prices (which you are already avoiding). So you are getting bill credits at on-peak prices, but am only using electricity at off-peak prices – allowing you to rack up bill credits. Double savings! 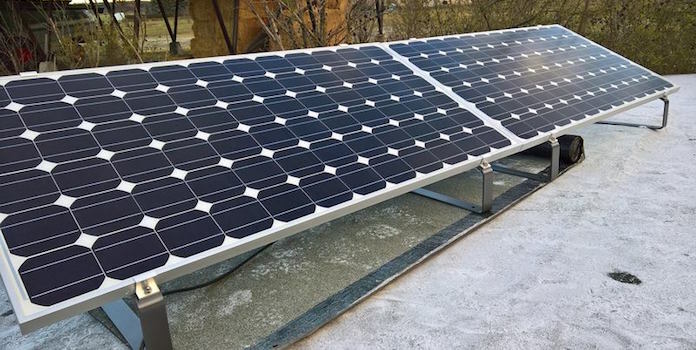 So think of TOU rates as an opportunity to not only save additional money, but also to use less energy, thereby decreasing your emissions and leading to a healthier environment – which is what these rates, and solar as well, is all about. Did you find this overview of PG&E’s rates helpful? Tell us in the comments below!